Volumouse provides you with a quick and easy way to control the audio volume on your system - simply by rolling the wheel of your wheel mouse. It allows you to define a set of rules for determining when the wheel will be used for changing the sound volume. 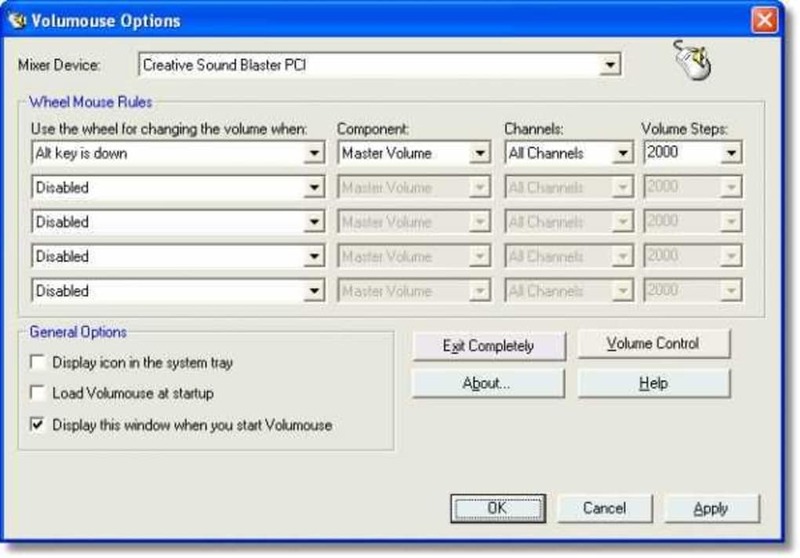 For example: You can configure Volumouse to use your mouse wheel for volume control when the Alt key is hold down, when the left mouse button is down, when the mouse cursor is over the taskbar, and so on. What do you think about Volumouse? Do you recommend it? Why?